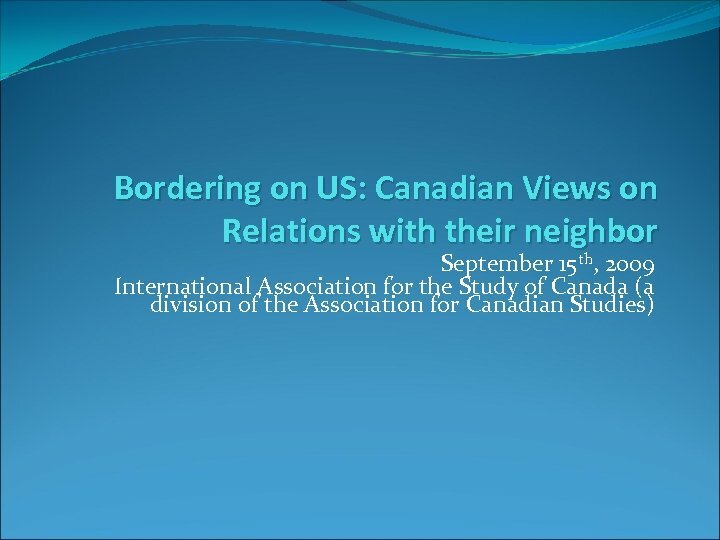 On September 16 th Prime Minister Stephen Harper made his first official visit to the White House since President Obama took office. 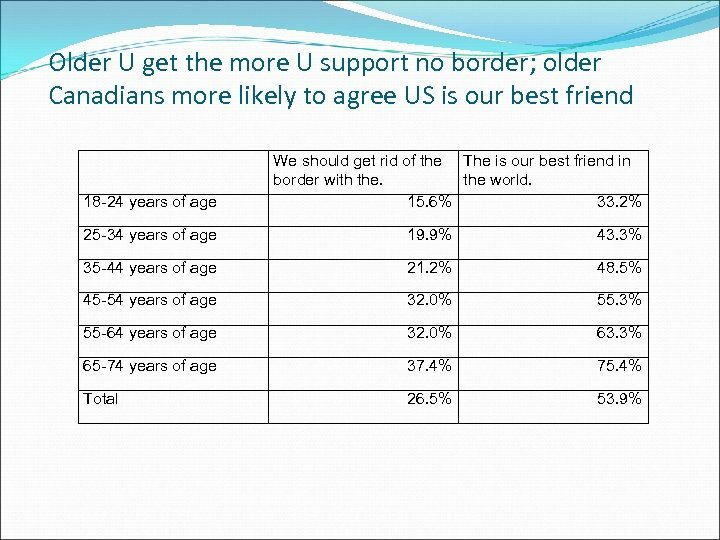 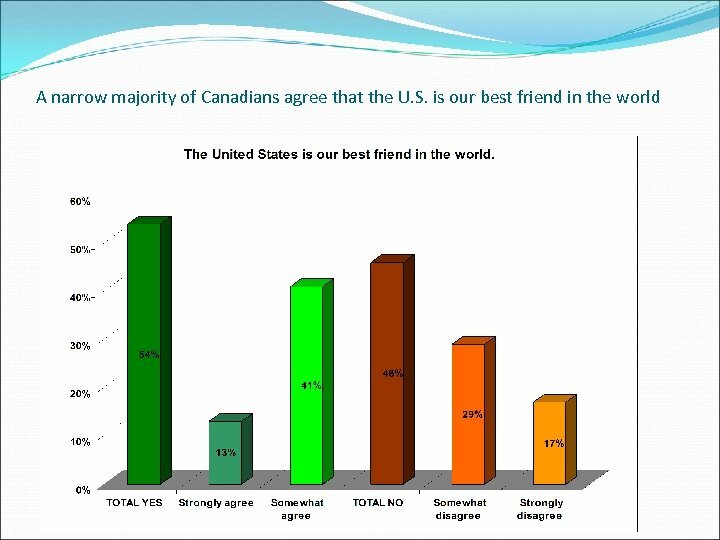 To mark the occasion to the International Association for the Study of Canada commissioned the firm Leger Marketing to conduct a survey on how Canadians see their relationship with the United States. 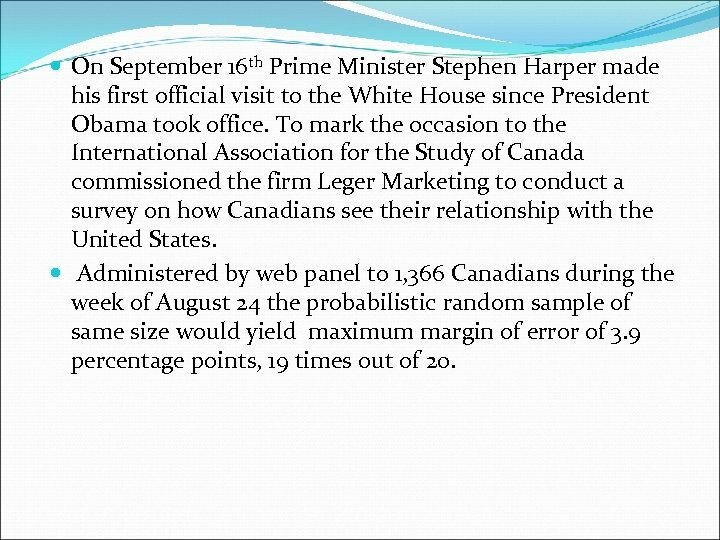 Administered by web panel to 1, 366 Canadians during the week of August 24 the probabilistic random sample of same size would yield maximum margin of error of 3. 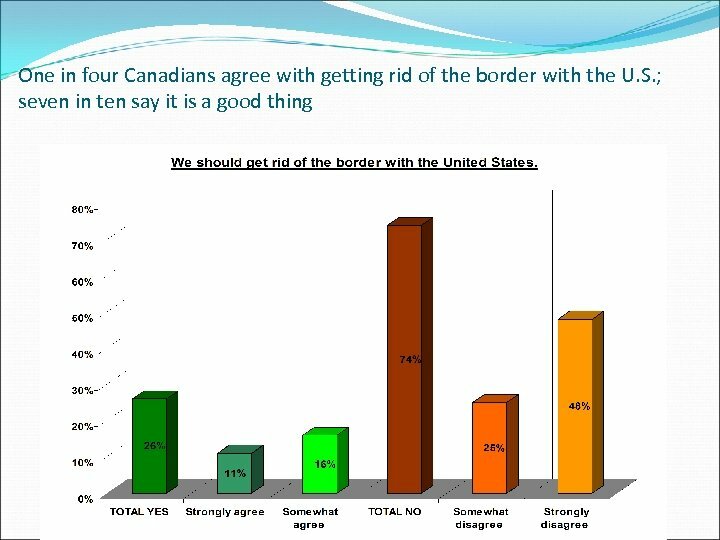 9 percentage points, 19 times out of 20. 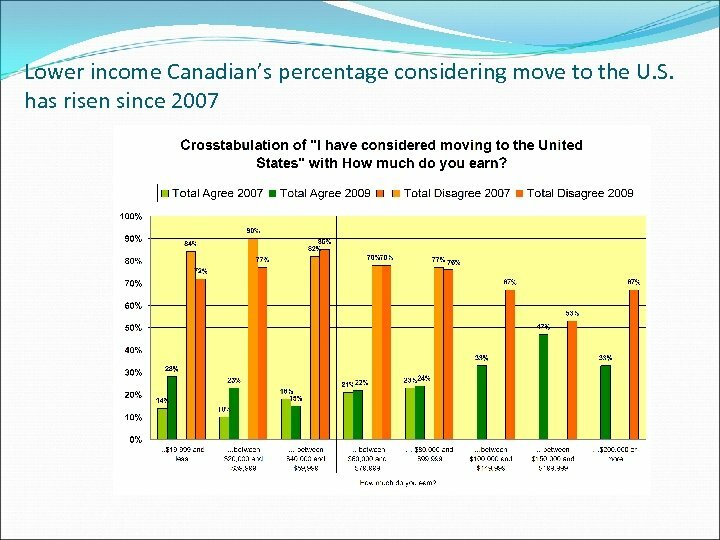 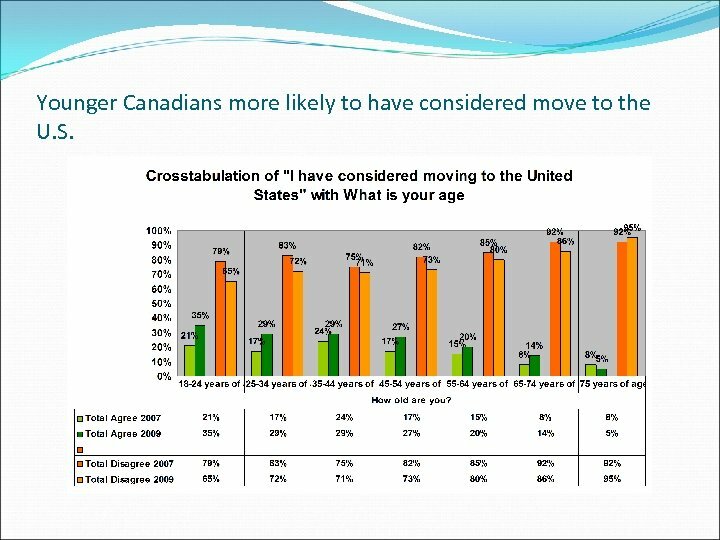 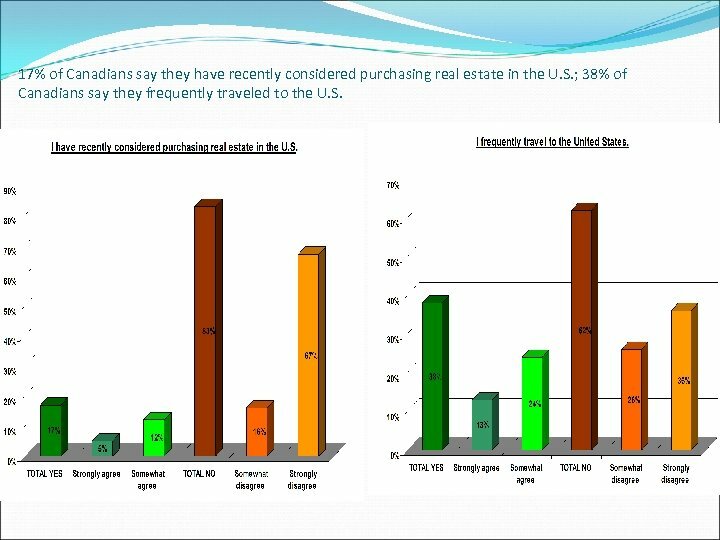 17% of Canadians say they have recently considered purchasing real estate in the U. S. ; 38% of Canadians say they frequently traveled to the U. S.
Younger Canadians more likely to have considered move to the U. S.